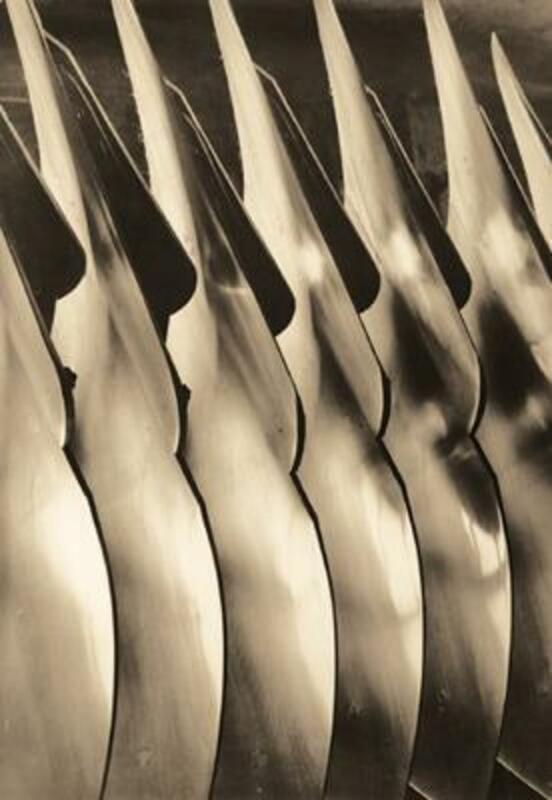 Margaret Bourke-White, Oliver Chilled Plow: Plow Blades, 1930, black-and-white photograph, 13 3/16 x 9 1/4". “I want to become famous, and I want to become wealthy,” wrote Margaret Bourke-White in a 1927 diary entry. Within a decade, she was both. Bourke-White was the first foreigner authorized to shoot scenes of industrialization in the USSR and one of Life magazine’s “Founding Four” photographers. In this show organized by curator Stephen Bennett Phillips, some 140 photos taken during the formative period of 1927–36 trace the evolution of Bourke-White’s signature style, from her earliest industrial subjects and stylized corporate commissions to her apotheosis as a photojournalist—the cover story she shot for Life’s 1936 debut issue.